The arrangement is the first of its kind made by the rapidly growing San Francisco-based software company. The ride-hailing service Uber plans to share data with the City of Boston in an unprecedented partnership for the company that could help city officials reduce congestion and determine transportation policy. The San Francisco-based business said Tuesday that it will provide Boston with quarterly, anonymous data about the duration, general locations, and times of rides that start or end in the city, a first for a company that only last week refused to furnish ridership data to New York City’s Taxi and Limousine Commission. Meghan V. Joyce, the general manager of Uber Boston, said the company has long fielded requests from cities about trip information, but wanted to release data selectively for privacy reasons. The arrangement Uber has worked out with Boston addresses this concern. “We wanted to ensure that when data was shared, it was shared in a way that we felt good about and ways riders and drivers feel good about,” she said. Jascha Franklin-Hodge, Boston’s chief information officer, lauded the partnership, saying the data will help city officials see how Boston’s fast growth is affecting transportation. “It’s going to help us reach the mayor’s goal of having a more data-driven city that uses data to drive policy and operations,” Franklin-Hodge said. Uber will deliver the first batch of data in two weeks, according to Bonnie McGilpin, spokeswoman for the mayor. With users hailing drivers through its smartphone app, the company collects massive amounts of information about how people travel throughout the city at all hours of the day. Franklin-Hodge said the city has approached the company in the past about data, but Uber has resisted. The company then approached the city last week about sharing data, which will be made available to any city department that could use it. The Boston Transportation Department, the Department of Neighborhood Development, and the Boston Redevelopment Authority will most likely get access to the information, according to the mayor’s office. For example, the data could help officials plan roadway and traffic signal projects or better understand travel patterns as the city seeks new housing. The city is interested in seeing transportation and road performance for a neighborhood like the South Boston Waterfront, Franklin-Hodge said. Officials will compare patterns from today with those of a year from now, “when there are thousands more residents and workers in the neighborhood,” he said. The meters in Boston’s taxis already grant police real-time access to data for each ride. The data include the GPS coordinates of the trip, vehicle and driver identification information, as well information on the payment and fare. Uber’s information, by contrast, would be stripped of identifying information and exact locations. Privacy concerns have gotten the company in hot water in the past: The company recently investigated a top executive for telling a reporter he had been tracking her movements. 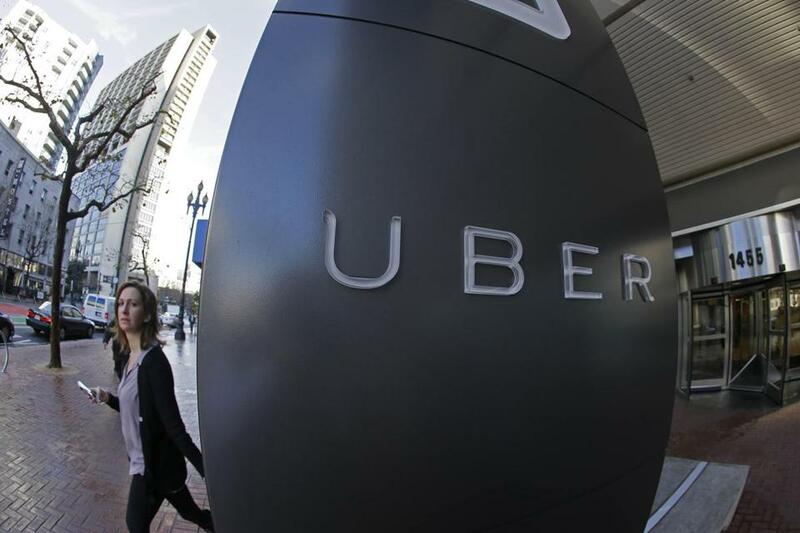 Uber’s partnership with Boston marks a big shift for the company, which has run afoul of New York City’s Taxi and Limousine Commission for refusing to release its data. Joyce said the company is looking into partnerships with other cities, but did not provide details. As ride-hailing companies like Uber have grown increasingly popular, cities across the country have struggled with how to regulate the vehicles, which have been decried by opponents as unlicensed taxis that aren’t subject to stringent industry regulations. In October, Mayor Martin J. Walsh appointed a 24-person Taxi Advisory Committee that would help regulate the ride-hailing companies in Boston. The new partnership appears to highlight Walsh’s support of Uber’s expansion, under certain parameters. Early last year, Walsh told the Globe that Uber is a “popular, effective service” that shouldn’t be condemned. The debate over how to regulate Uber has also made its way to the state level. Before he left office, former governor Deval Patrick made a last-minute push for state oversight for ride-hailing services such as Uber and Lyft. The transportation department filed those regulations with the secretary of state’s office, and a legislative bill to effect the changes is expected this session. The choice of Boston as its inaugural partnership may signal that Uber is open to such releasing data in friendlier jurisdictions first.